We’re delighted to be heading to the Wexford Literary Festival Reader and Writers Day on Saturday 20th May for a Publisher Q&A. Tramp Press, along with moderator Caroline Busher, will discuss the world of publishing. What makes a submission stand out? What are the current trends in the market place? We’d also love to get some audience questions! The Wexford Literary Festival is one of our favourites: always well-run and really friendly. 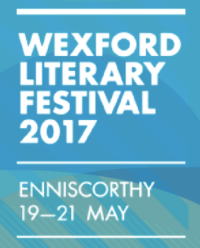 There’s a lot of great events in the programme, check it out here: http://wexfordliteraryfestival.com/.